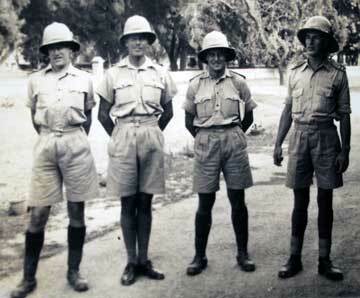 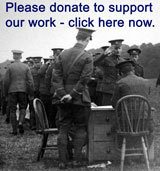 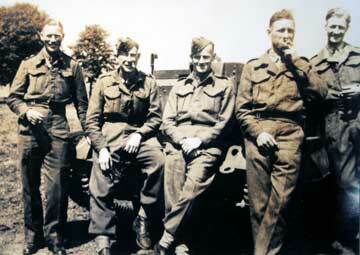 Major John Devonshire served with the 7th Battalion of the King's Own Royal Regiment during the Second World War. 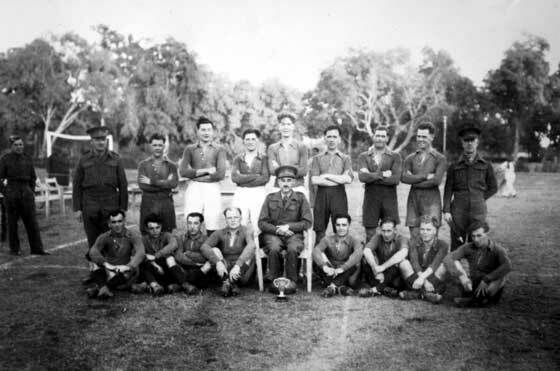 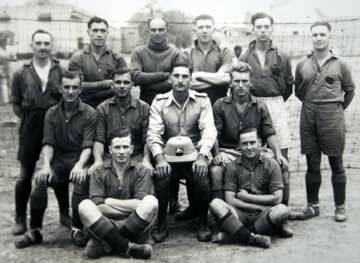 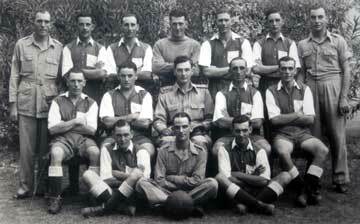 Back row, left to right: Lieutenant F Kenyon; Private Wilkinson; Captain J W Devonshire; Lieutenant E G Thomas; Captain P A Hogg; Private M Brace; Private J Bebbington; Corporal W Street and Major A N Burton. 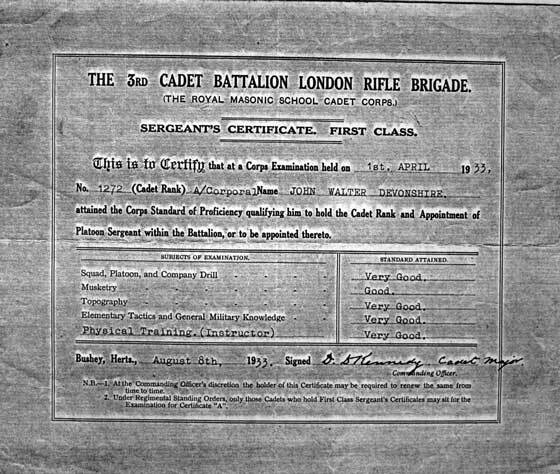 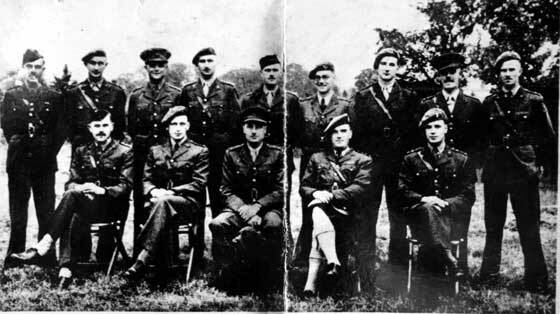 Front row, left to right: Private H Bolton; Private R Williams; Private L Turvey; CQMS H Mitchell; Lieutenant Colonel R P F White; CSM J Farghar; Lance corporal J Cook; Private R Machell; Private Robinson. 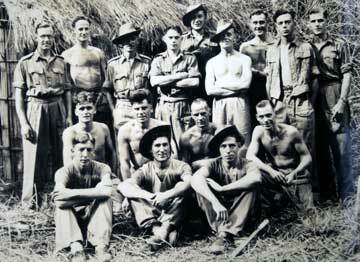 Standing, left to right: Lieutenant F A P Taylor (Gloucester Regiment); Lieutenant D Searle (Gloucester Regiment); Lieutenant N Bradley (Lancashire Fusiliers); Lieutenant J A Ladd (Royal Norfolk Regiment); Lieutenant Ian MacDonald ( King’s Own Scottish Borderers); Lieutenant C Morgan (King’s Shropshire Light Infantry); Lieutenant R W Devonshire (King’s Royal Rifle Corps) (brother of donor Major Devonshire, King’s Own); Lieutenant D P Thwaites, (Royal Berkshire Regiment); Lieutenant B Butler (King’s Own Yorkshire Light Infantry). 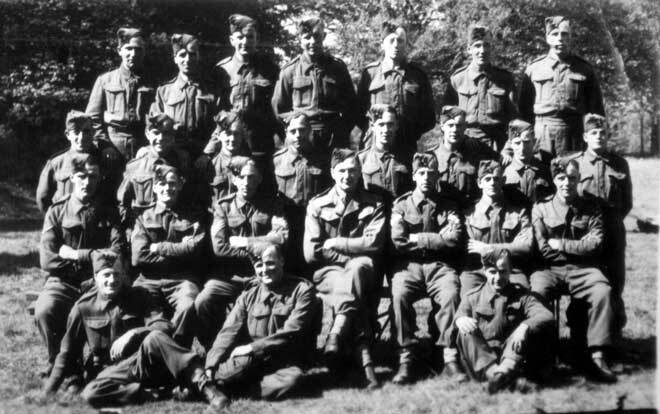 Seated, left to right: Captain K G Brown (King’s Own Yorkshire Light Infantry); Major P T Lawrence (South Staffordshire Regiment); Lieutenant colonel R W Wycherley (King’s Shropshire Light Infantry); Captain A B Fallow (Cameron Highlanders); Captain R A Roper (Royal Norfolk Regiment). 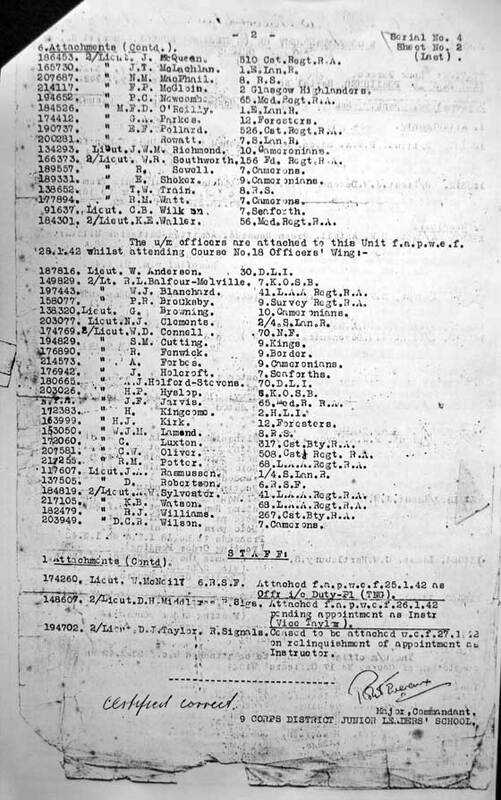 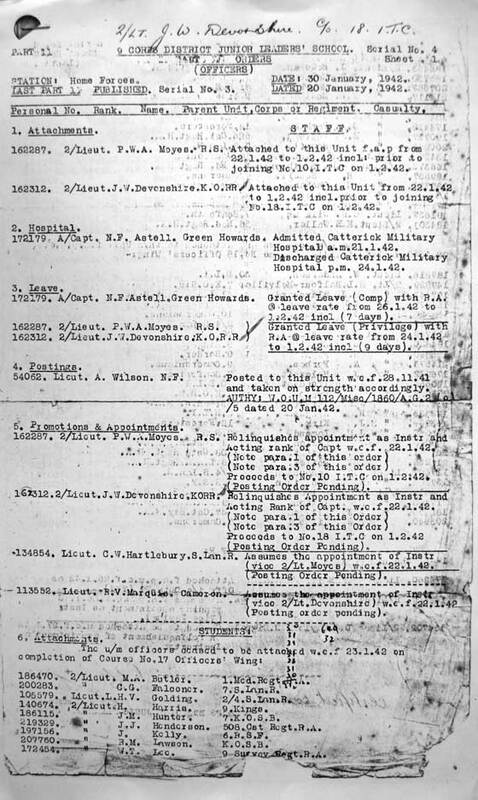 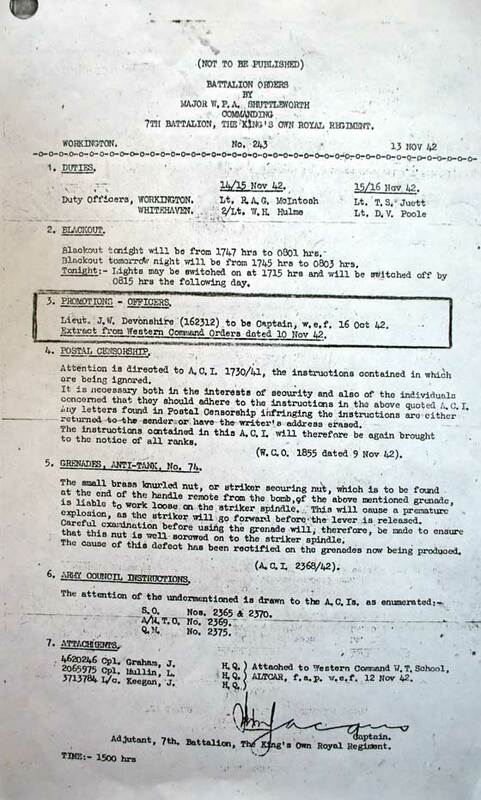 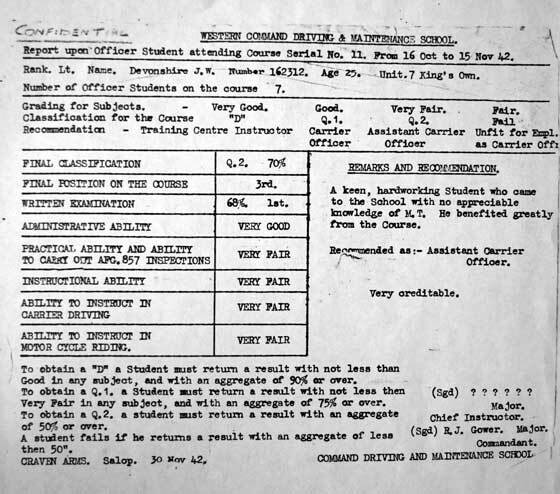 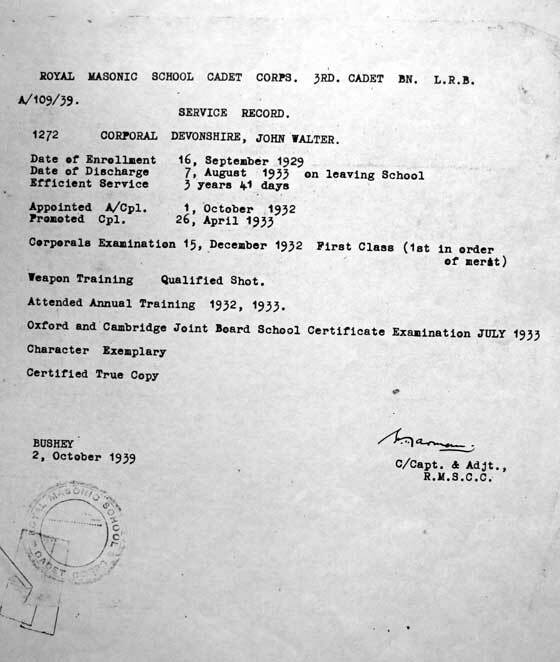 Photocopy of Western Command Driving and Maintenance School, Oct 1942 Report on J W Devonshire 7th King's Own Royal Regiment. 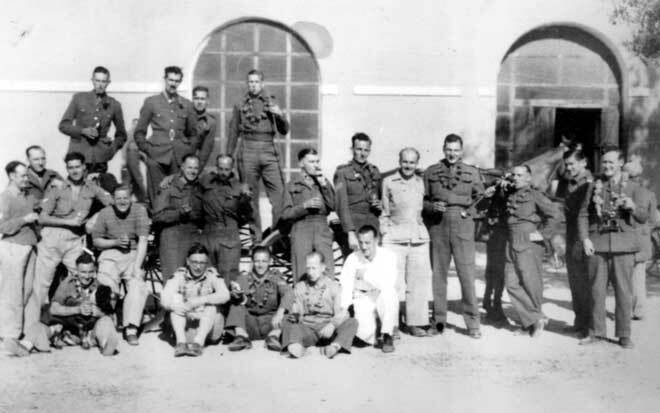 7th Battalion, King’s Own Royal Regiment, Lahore Cantonment, Christmas Day 1944, Outside ‘A’ Company Office, with many visitors to ‘A’ Company. 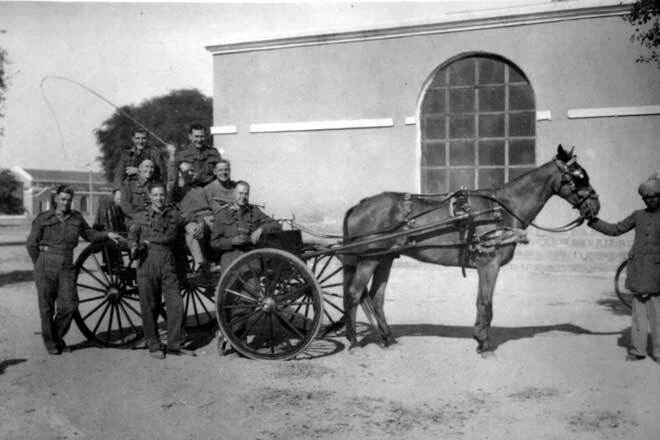 Horse and Carriage, 7th Battalion, King’s Own Royal Regiment, Christmas Day, 1944 All members of A Company. 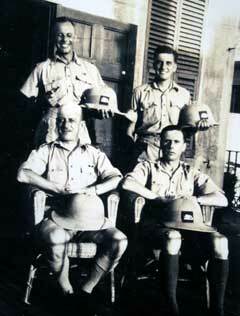 Backrow, Private H Lockwood, Major Devonshire, Corporal Walsh, holding the whip; Private Maskill or Machel, holding the horn, and possibly Corporal Stackhouse standing.